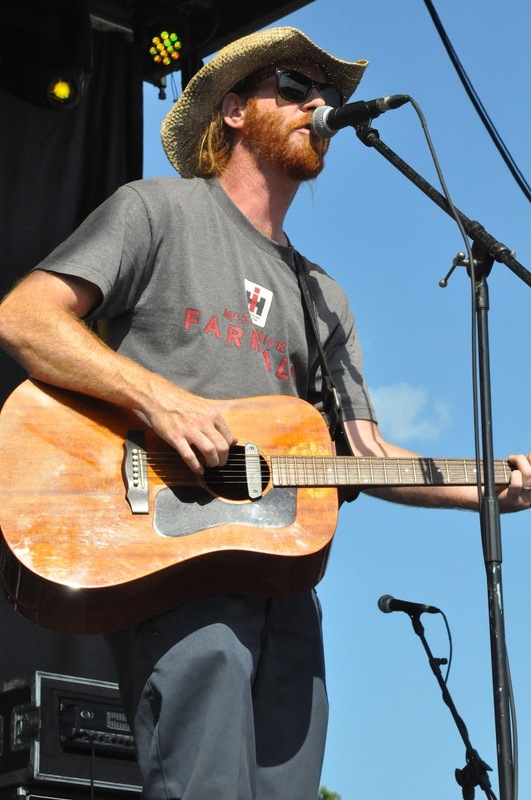 It was July 11th and Massachusetts native Alec MacGillivray was getting ready to take the big stage set on the lawn of Portsmouth’s Redhook Brewery. 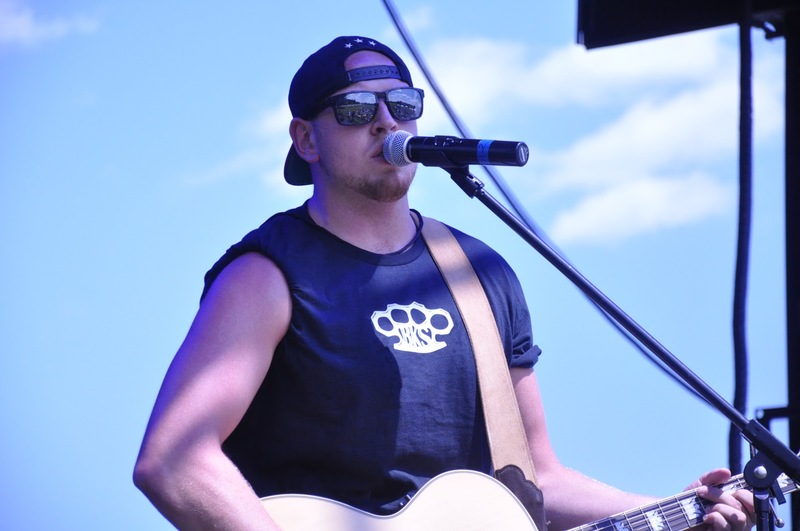 Temps shot up past 90 degrees as Alec kicked off the first annual New England Country Music Festival presented by The Harbor Agency with his catchy tune, ‘Sixteen.’ The 21-year-old treated the early-arriving fans to his own songs filled with fun, upbeat lyrics and his guitar in hand. Dressed in a black Brass Knuckle Scrappers t-shirt, backwards Run DMC hat, and his shades on, Alec showed his softer side with his ballad, ‘Lonely.’ It was the perfect way to roll into the rest of the day, as MacGillivray closed out the prelude with his popular ballad, ‘Wild and Crazy,’ the ultimate summer country melody. The talented songwriter stayed the afternoon to enjoy New England Country Music, proving we’re all fans in the end. 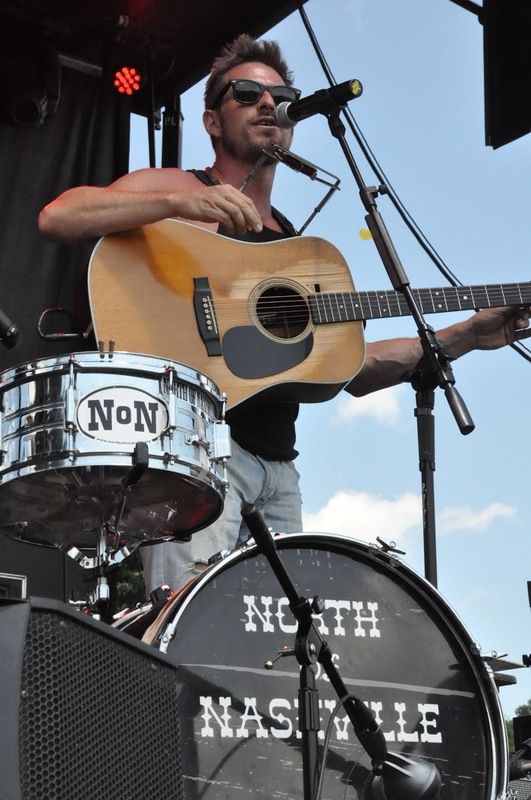 North of Nashville was ready for the hot New England day, as they took the stage shortly after Alec Mac. 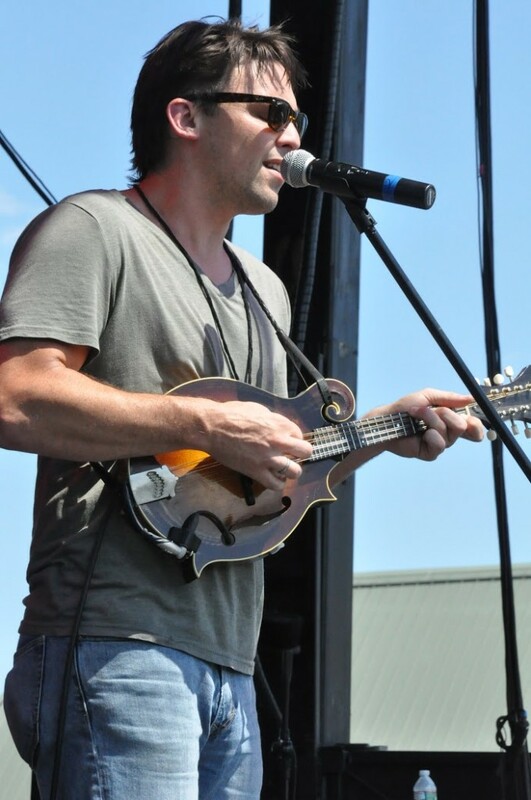 Their unique sound brought to fans was thoroughly enjoyed, backed by a harmonica and acoustic guitar, played by lead vocals Jay Basiner and the fiddle, perfected by Andrew Martelle. The duo considers themselves contemporary country with an outlaw attitude and that is just what you get in concert. The energetic guys from Portland, Maine had fans clapping and dancing along, even being acknowledged for braving the 90-degree humidity. North of Nashville played some of their songs including ‘I’m Your Man’ and ‘Lady and the Outlaw.’ A fan-favorite was their new song, ‘Great State of Maine,’ which they are set to release in a couple of weeks. The boys quickly gained brownie points as they played Jamey Johnson’s popular country tune, ‘In Color.’ The talent exceeded expectations early in the festival and was only to be supported by numerous country acts throughout the day. Up next was another talented duo with local roots, Jilly Martin and Ryan Brooks Kelly. The two opened up with ‘Moonshine in the Trunk’ by Brad Paisley, who they will be opening for on August 9th when Brad takes his tour to Gilford, NH. Both played some of their original songs from before they paired up to make music. For those who don’t know, the two started out as solo acts but met while playing at the same show. And since then, they have been performing together. To everyone’s pleasure the two continue to make melodies together, as they make an amazing team and brought an awesome show to the festival. 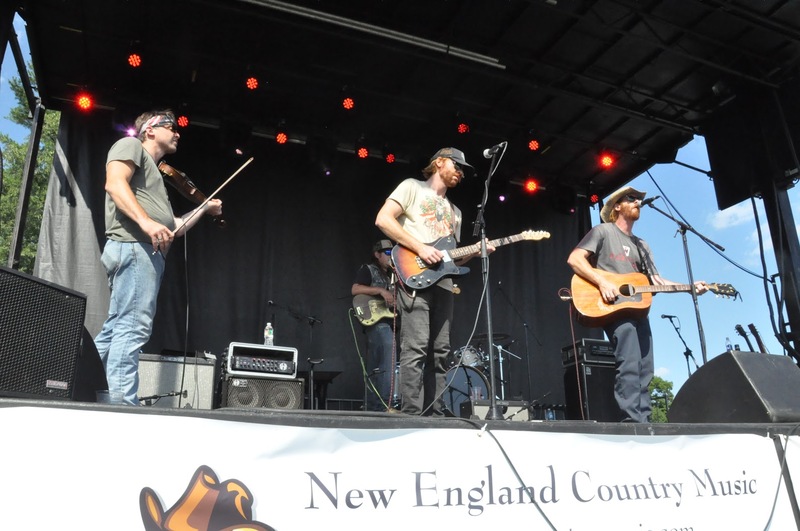 One of NECM’s favorite parts from their set was a fun version of Miranda Lambert’s ‘Little Red Wagon’ that had everyone up and dancing despite the heat. Their set was also highlighted by a goosebump raising mashup of ‘Whiskey and You’ and ‘You Are My Sunshine,’ which showcased their incredible vocal talents. The two later enjoyed hanging around Redhook with their band for the rest of the day. This won’t be the last you see of the loveable Jilly and Ryan, New England, as the pair continues to expand their fan base. 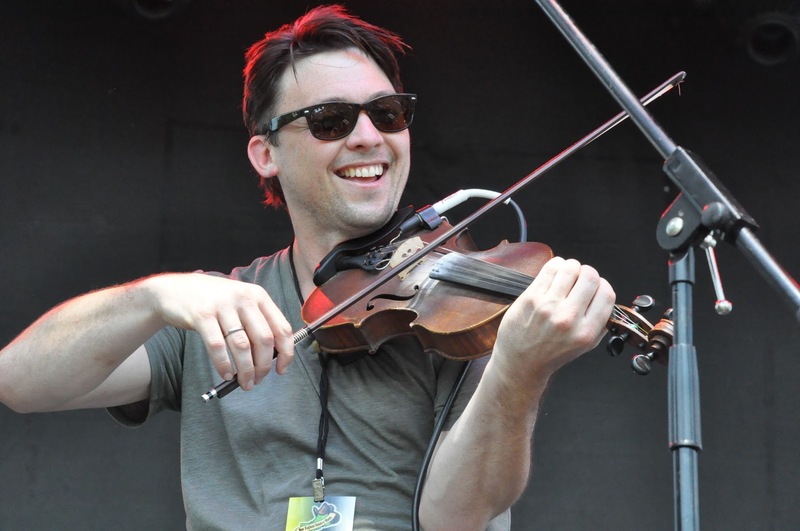 For the second half of their set, fellow Mainer Andrew Martelle from North of Nashville joined them on the fiddle, as everyone on stage was laughing and enjoying themselves. They entertained the sun-soaked fans with songs like ‘Somethin’ to Lean On’ and ‘Low Down,’ but it was their casual demeanor that drew people in. It was time to wind down, as the band ended their set with a high-energy crowd favorite song about ice fishing, an activity many from New England can relate to. ‘Tip Up,’ featuring Wally on lead vocals, had everyone moving and ready to sing along. 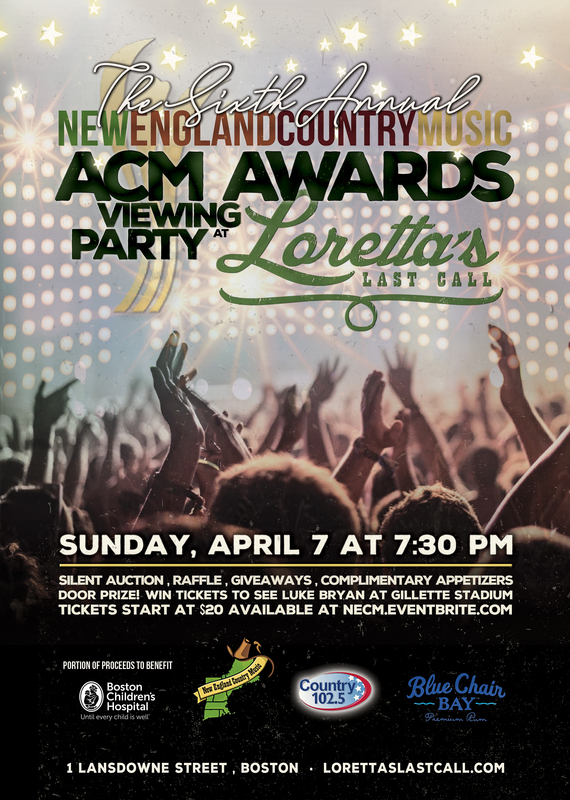 The south isn’t the only place that can produce country acts, as Maine proves to have an abundance of talent from Vacationland. 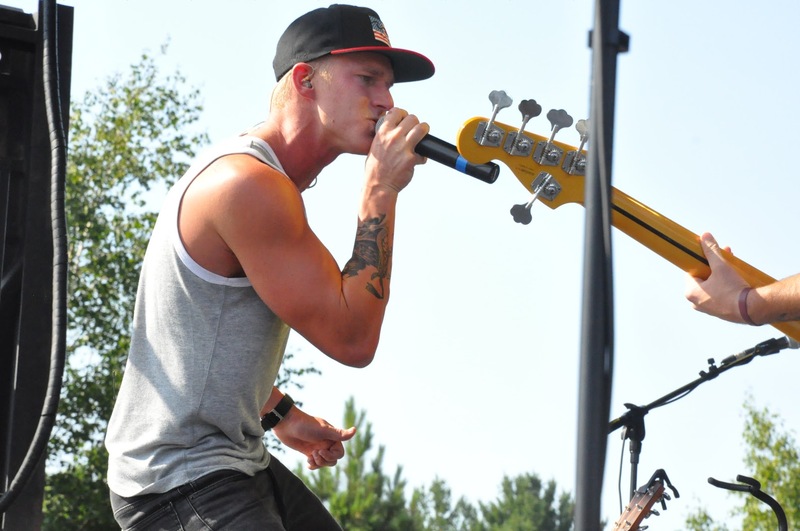 After teasing the crowd with some new music, he went back to his song ‘Love Like That’ from the self-titled EP. Hanks still had the crowd at this point, but what he would do next would completely lock the crowd into his time and make them fans for life. The young adult covered ‘I Want It That Way’ by the Backstreet Boys, and quickly mashed it into ‘All Star’ by Smash Mouth. This got the crowd going, as the cheers and sing along were an incredible sight to see. ‘Get Weird’ was up next for Hanks and after this song, Hanks told the crowd, ‘We didn’t drive 16 hours to not turn up.’ Hanks and crew drove 16 hours north from Nashville, TN, to play two shows at Loretta’s and then north to play NECM’s festival. After his set, Hanks walked around the crowd, taking pictures and chatting with fans. 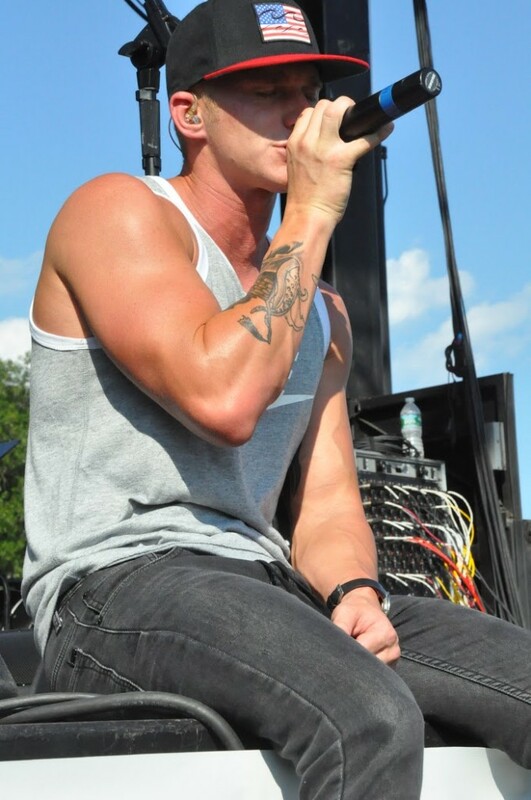 Blaire Hanks proved to New England in three short nights that he is a true artist who is dedicated to his music and fans. Soon enough, it was Native Run’s turn. 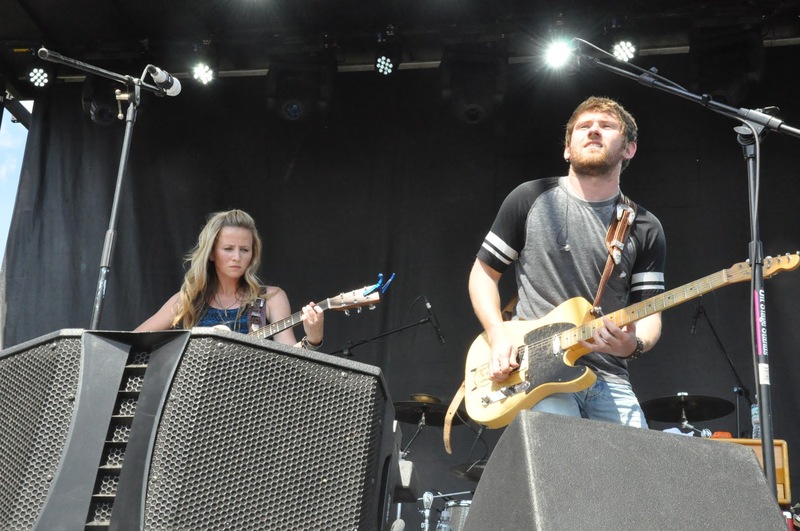 When the two took the stage at Redhook Brewery on Saturday afternoon, the duo made it clear they were happy to be back in New England. They cracked jokes that they loved the Northeast due to our lack of humidity, ironic for a 90-degree day. Joking aside, Rachel Beauregard and Bryan Dawley performed an hour-long set list of songs from their ‘Good on You’ EP, singles they are hoping will be on their new album. Their time started with a new song called ‘It’s Okay to Be Lonely,’ followed by a shout-out to Redhook and their delicious tap beer. 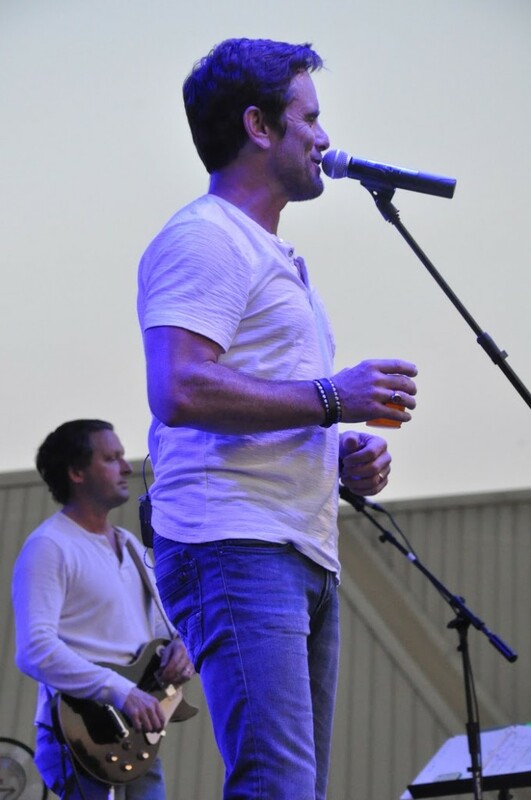 The alcohol reference was a perfect transition into singing a few lines from the Little Big Town smash, ‘Day Drinking.’ Like with every good country song, a story is always involved, and Native Run made sure to tell the background of a few of their new songs before performing them to the crowd. One new song, ‘When I’m Taken,’ which probably hit home to many in the audience, told the complicated story of an ex trying to get back in the picture once you have moved on. 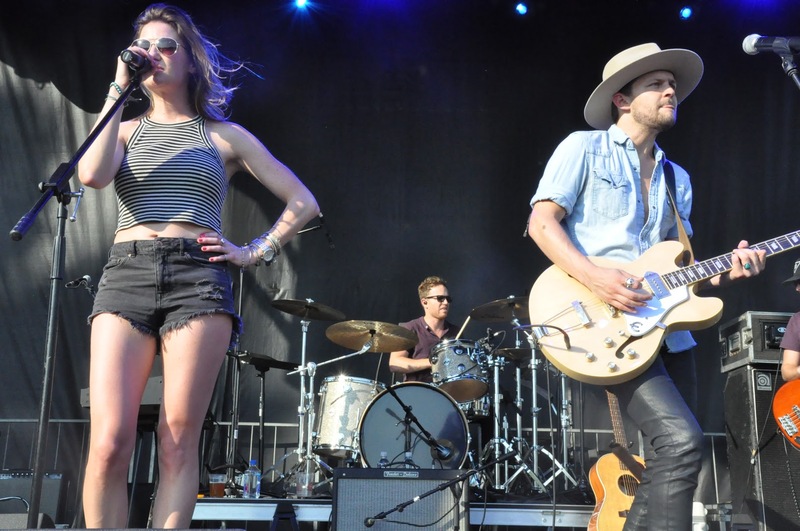 Bryan and Rachel offered the crowd a pick up line and some relationship advice in a song form with ‘Asking For a Friend.’ The duo gave the audience an inside sneak peak into their songwriting process with a story revolving around a ballad they performed. The story behind the writing was pretty basic, where they had been trying to write all day and Rachel finally became frustrated with the process. She went to walk out of the studio and Bryan said, “fine, I’ll write this on my own” and it was then Rachel realized there is “no ‘I’ in a country duo” and the song was written that afternoon. After the ballad slowed down the setlist, they picked it right back up again with a series of cover songs. Earlier this year, some NECM staffers saw Native Run open for Sam Hunt where they sang One Direction’s ‘Steal My Girl’ and we were obsessed with their version so a request for the song was made. “Ask and you shall receive,” Rachel boasted. ‘Steal My Girl’ transitioned into an introduction to Native Run’s band, preceding another cover, this time taking it back to the 90’s with TLC’s ‘Waterfalls.’ Rachel impressed everyone in attendance with her rap skills during the song as well, showcasing the country girl’s talent. The set was closed out with an upbeat performance of their first radio single, ‘Good on You,’ a steadfast song declaring that two loves fit right with each other. Fans continued to rave about Native Run’s show throughout the rest of the evening, as the duos energy spread contagiously, marking their territory in the Northern Country. As the afternoon wore on and the sun began to sink behind the clouds, it only seemed to heat up as Leah Turner and her band took the stage. Somewhere between a rock star and a rodeo queen, Leah certainly dressed the part, from her ‘Guns N Roses’ shirt to her cowgirl boots. Turner began her set with ‘Make Your Move,’ beaming at the field full of fans in such a beautiful venue. “Are you enjoying Redhook Brewery? They’re amazing aren’t they? I know it sure feels good to be back in New Hampshire. 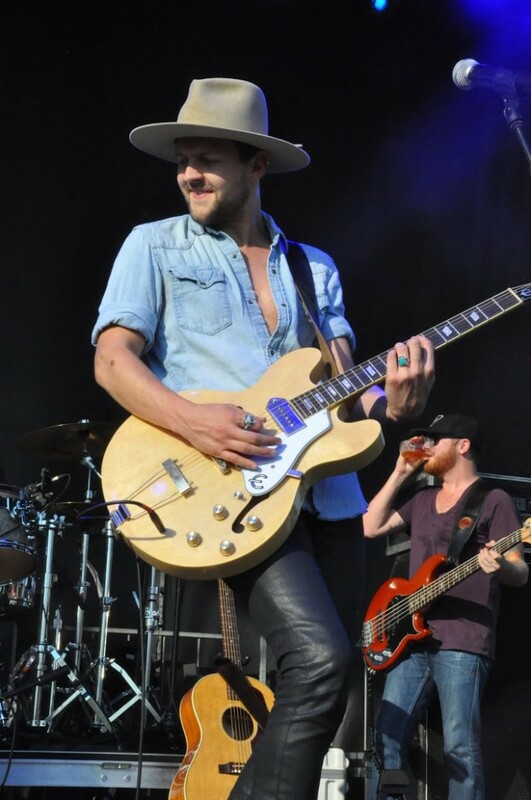 I know that this is their first year but this has been seamless and amazing, in such a beautiful place!” Turner then delivered a powerful performance of ‘Bless Your Heart,’ that had the entire festival field clapping along in the air. “As a little girl I dreamed of playing music. I had an opportunity to land with Sony Records that lead to a top 40 song. Thank you for loving and supporting country music as much as I do!” As the lights dropped once again, Turner performed her 2013 hit, ‘Take The Keys,’ a song that landed at number 37. 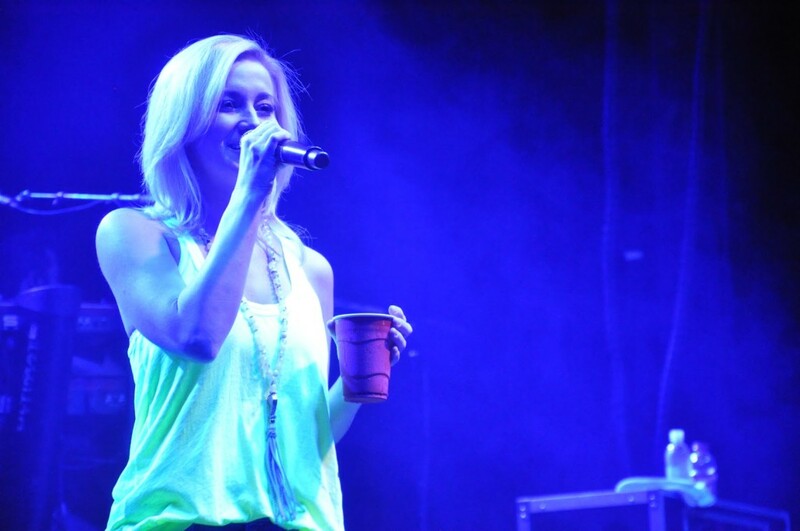 After performing the song ‘Beat Up Bronco’ and introducing the band members to the enthusiastic crowd, Leah confessed that one of her best friends had written the next song, and with a grin, she teased, “are there any country girls in the house tonight?” as the familiar guitar riff of Jason Aldean’s smash hit ‘She’s Country’ began. The crowd went wild, singing every word, prompting Leah to hop from the stage and walk through the audience, handing the microphone to various concertgoers to sing each line. 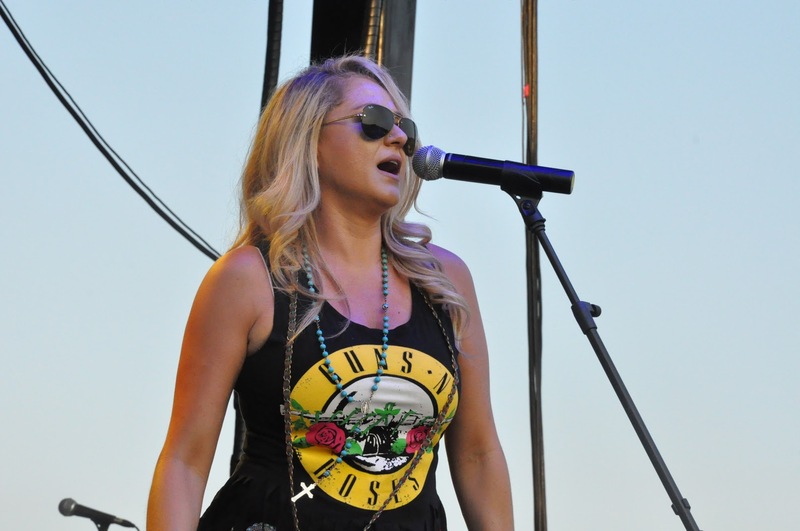 As the day grew on, Turner performed her 2014 single, ‘Pull Me Back.’ It seemed as if the already energetic crowd had grown in size and enthusiasm, swaying back in forth to every song. “I was raised by a cowboy, my dad was a rodeo team roper. Are there any cowboys here tonight?” shouted Turner, as she began one of the last songs of the night, the famous 1999 number 1 hit by the Dixie Chicks, ‘Cowboy Take Me Away.’ “This is going to be our last song. I hope you all had a blast. Thank you so much to New England Country Music and The Harbor Agency for inviting us to your first festival!” proclaimed Turner, closing her set with fan favorite, ‘My Finger.’ Little did people know, there was a surprise for everybody at the end of the song. “This goes out to all my single ladies out there!” blending her finale with the popular Beyoncé hit. 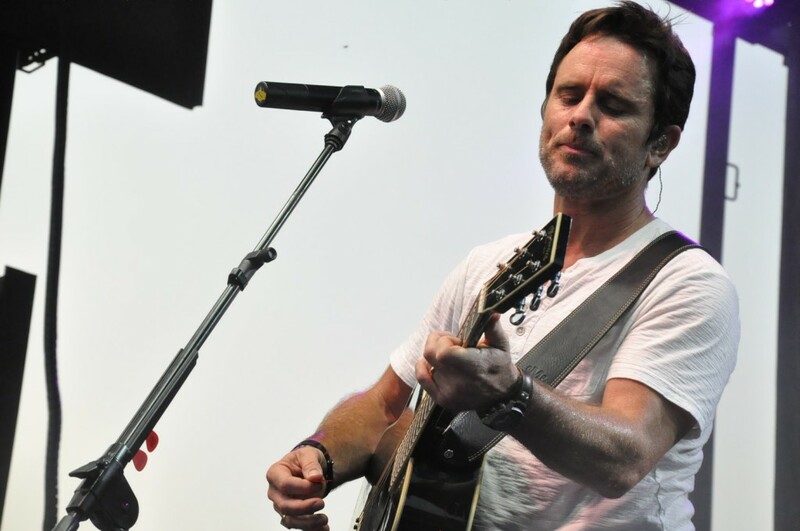 The much-anticipated Charles Esten and his band, Six Wire, began their forty-five minute set after Leah. The crowd rose to their feet and with their eyes looking ahead at the stage, Charles drew the fans in with every move. Not new to the high expectations of performing, the 49-year-old plays Deacon Claybourne on ABC’s hit series, Nashville. Esten is well known for playing the lovesick, musician and recovering alcoholic on the show, which has an immense following. The appreciation was mutual, as Esten’s bright smile was an indication of the warm reception he got from New Hampshire. Many yelled out, “Deacon!” which Chip later explained to NECM happens often on the streets of downtown Nashville. The crowd was in for a treat as Esten thrilled his fans with his rough-around-the-edges voice, cowboy swagger and incredible guitar playing skills. 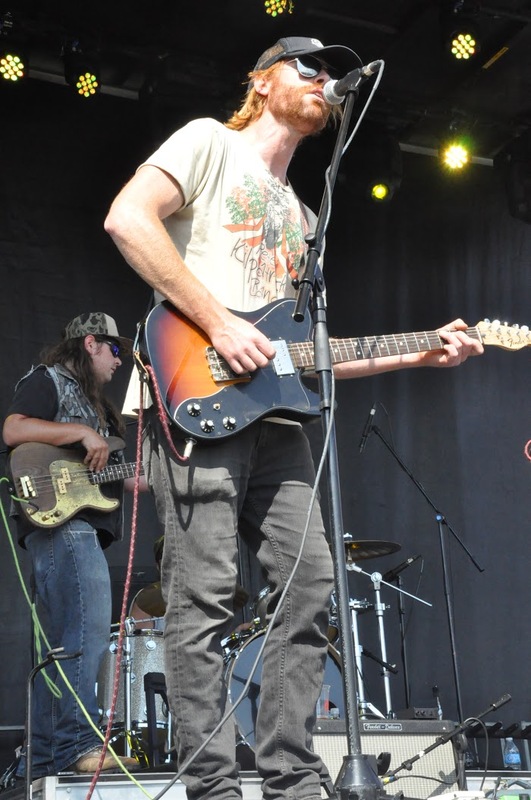 The energy from Esten illuminated the stage, igniting his band for a liveliness show. Esten is proud to be a part of Nashville and let everyone know how great it is that the fans of the show call themselves “Nashies,” a group that even has its own hashtag on Twitter. He also showed his appreciation for one particular fan during a break between songs, who mentioned when she met him at his meet and greet, that she has followed his career and has seen him perform live several times. She also shared with Esten that she was recently diagnosed with pancreatic cancer, something that hit home for the actor/singer, as Esten’s daughter was diagnosed ten years ago with leukemia. 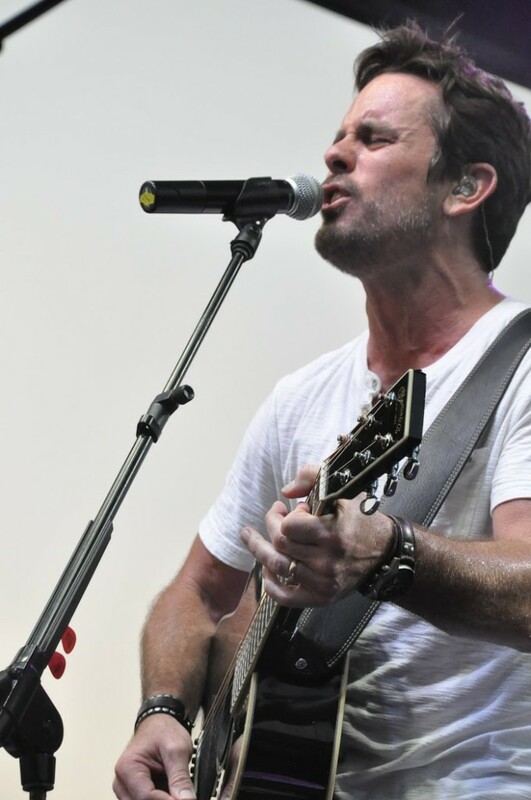 He and his family remain very outspoken about their cancer journey, so it is no wonder he took that to heart when he recognized this one special Nashie. Praising the fan for her courage during this difficult time, Esten wanted to show her just how much he understood where she was coming from. 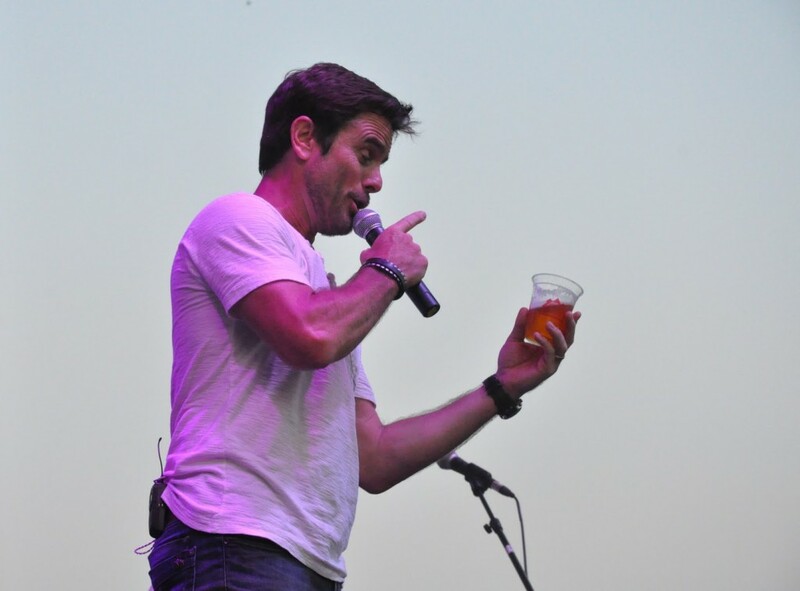 He hopped off the stage into the crowd and presented her with an “I love you, beer” Charles Esten t-shirt which much to her pleasure, included a heartfelt hug from the man himself. Like everything, all good things must come to an end, but not without a song that left the audience with their toes tapping and their phones set to video. Ending his set as dusk began to creep over the field at Redhook Brewery, Esten and Six Wire closed with ‘One More Song.’ The lyrics from the song say it all. “Well we brought the show, ya’ll brought the noise from the front row girls to the back row boys, but all good things must come to an end so one more time let me hear you again…get your phones up, video on, for one more song.” On cue, the Charles Esten fans did as the song said, as the field lit up with hundreds of cell phones for his last ballad of the evening. 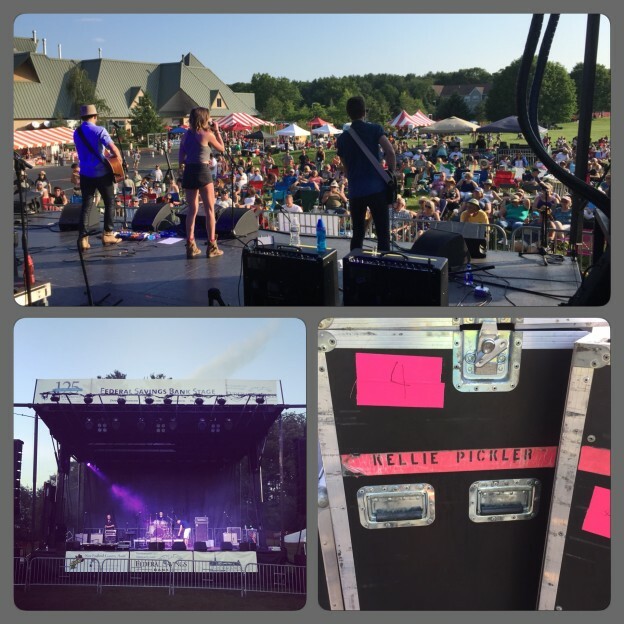 The night was still young as the sun set below the horizon and the fans eagerly anticipated the headliner of the festival… Kellie Pickler! The crowd roared with approval as the beautiful Pickler took the stage around 9:30pm with her band and opened her set with ‘Things That Never Cross A Man’s Mind.’ You could tell that this was going to be a great performance from the start as the audience was up and dancing from the first chord. She kept the momentum going with a song that parallels Kellie’s life, ‘Tough,’ written specifically for her by Leslie Satcher. 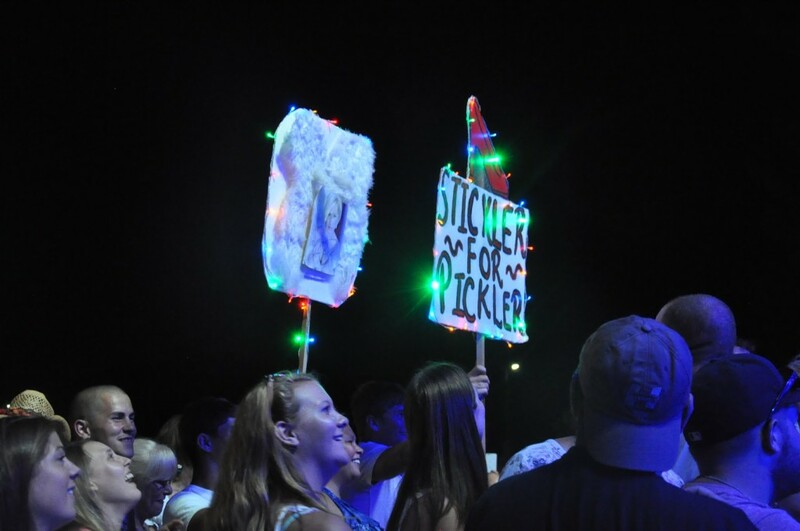 Many members in the crowd could relate to the song as it comes off as an anthem for anyone who’s been through some rough times and battled back. 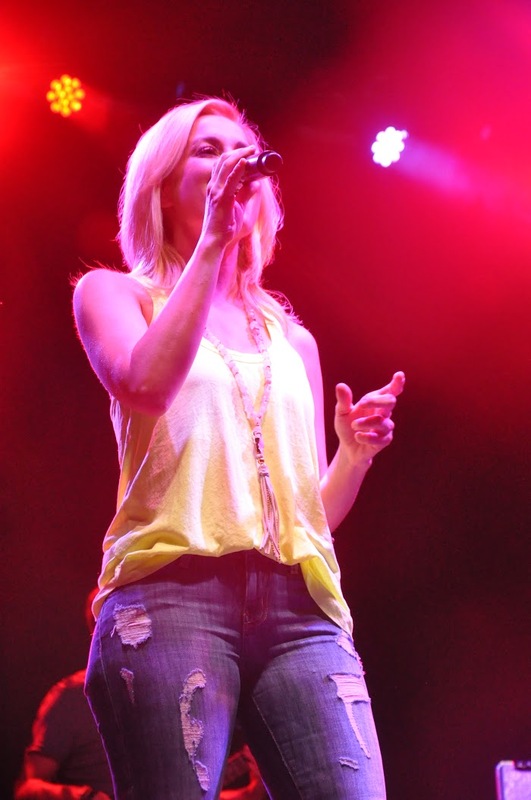 One of the many things that Pickler excels at is her ability to work every part of the stage and connect with the fans while singing. This was very apparent when she broke out the always fun ‘Making Me Fall In Love Again.’ She certainly has no problems at all keeping her fans falling in love with her over and over again. 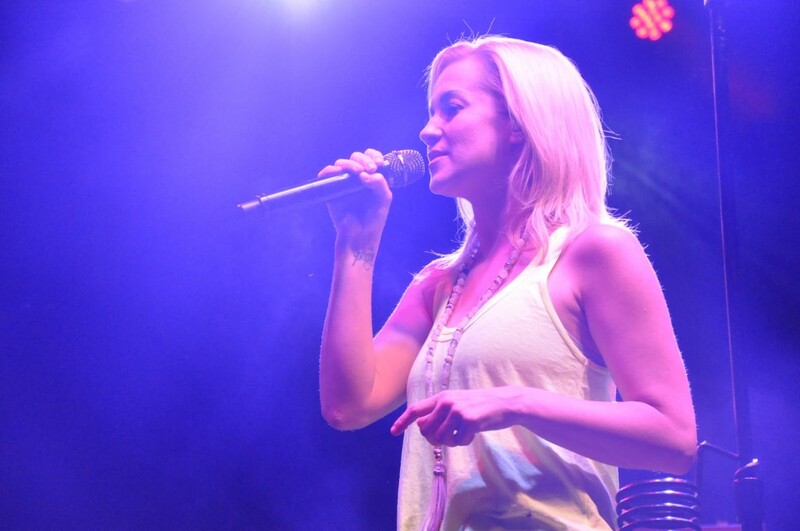 It was truly a pleasure to have Kellie Pickler headline the first New England Country Music Festival. She put on a great night of music, had amazing interaction with everyone in the crowd. Her personality was sweeter than a grapefruit on a hot summer night. It was great to see how much command she has of the stage and her songs are even better live due to her incredible voice. For more photos from the festival, check out our Facebook album here. This entry was posted in Home page blog on July 27, 2015 by LaurenNECM.